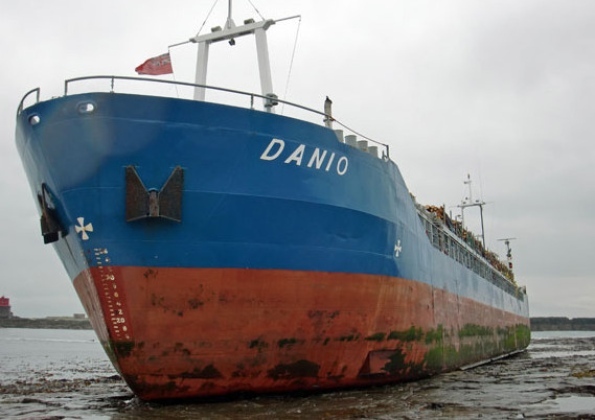 The 80 meter long, 1805 dwt freighter Danio went aground near Farne Island, United Kingdom. 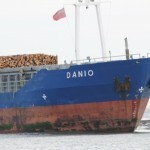 The Danio was headed to Antwerp from Perth with a cargo of timber when it ran up onto the rocks. 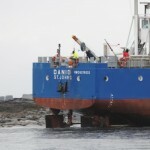 The Seahouses RNLI lifeboat responded to the scene and found the Danio had suffered a one meter gash in the bow. 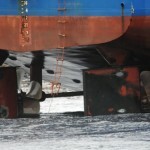 No reports of injuries or pollution released. 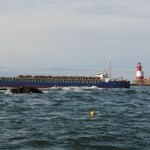 Attempts to refloat the vessel by a tug on the next high tide failed. 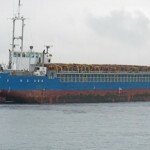 A Coastguard team has a pollution control team at the site to monitor the situation. 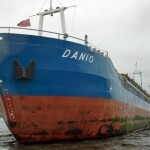 Reports state the Danio may remain aground for several weeks until the tidal conditions are right.